The piston begins as a nine foot long, solid aluminum rod. The reason aluminum is used is that it's lightweight, rust-proof, and easy to cut. A saw then cuts the rod into smaller pieces at varied lengths called slugs. A punch press and dye are pre-heated while the slug moves through an oven, heating it to the same temperature as the punch press. The slug is then removed from the oven, and placed into the punch. The press applies 2,000 tons of pressure onto the slug, forging it into the basic shape of a piston. This process generates a lot of heat, so the piston must be air cooled for one hour. After the forgings cool down, they go through an oven twice more. The first time is at a higher temperature, to strengthen the metal. The second time is at a lower temperature to stabilize it. A lathe is then used to cut excess metal from the basic form of the piston, taking it closer to its finished shape. Tiny holes are then drilled into the sides, to create the oil passages for the piston. The same lathe then impresses three rings into the top of the piston. These rings, or grooves, help the piston glide, and allow it to form an air-tight seal. A large hole is then drilled through both sides of the piston. This is where the wrist pin will go, which is used to attach the piston to the connecting rod during engine assembly. A milling machine then shaves up to a couple of centimeters off of each side of the piston where the large holes were drilled for the wrist pin insertion. This is to reduce the overall weight of the piston. Another milling machine takes some more metal off of the area where the three rings were formed earlier, bringing the piston one step closer to its final form. Another lathe shaves a few more millimeters off of the top, allowing the piston to expand when heat builds up inside of it. Then a machine engraves model and production information. 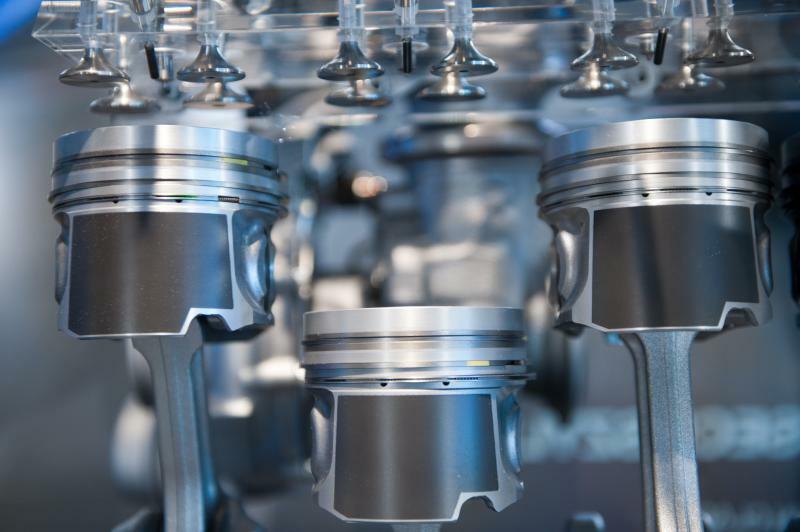 A human worker then smooths out the sharp edges of the piston created during production. The holes created for the wrist pin are then put through a machine which smooths them, allowing the wrist pin to fit comfortably. 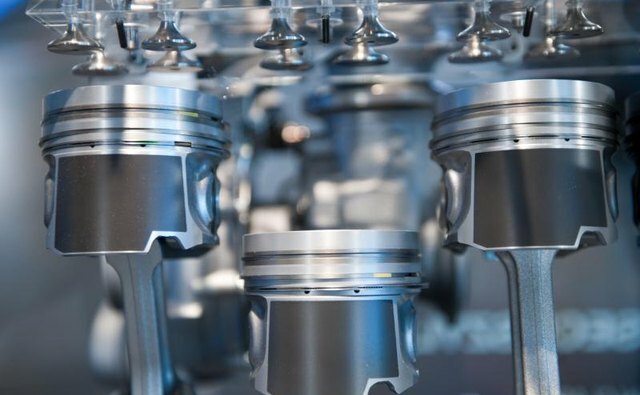 Finally, the pistons sprayed by hot, deionized water, removing any lubricant or oil gathered through the manufacturing process. After they're dry, they're ready for use.